I’ve often thought of creating a YouTube channel providing helpful hints on the Camino de Santiago. YouTube is saturated with videos on the Camino, just type in the word and a long list of videos will appear in front of you. Some of them will be helpful, some will not but it is about filtering out the best and choosing the best content. I find Beyond the Way very good, the same can be said for JohnRoyYHZ and Lindsey Cowie. There are many others in my helpful links. I need a little practice myself though. But I suppose it gets easier over time. Maybe I’m better to stick to what I’m good at – writing. What do you think? The Camino Through my Eyes series returns for a fifth time and I’m sure you’ll enjoy this post. I began this series way back in October 2015 with the hope of helping you, the reader, in your preparations for walking one of the Camino routes. I have asked a series of questions to a number of people who have walked one or more routes and it’s great to read their replies. This contribution comes from Sindre Sandvik who lives in Norway. He has walked the Camino Frances and more recently, the Camino Primitivo, from Oviedo. He also owns a great blog (www.sindrealmost.com) with many videos, photos and pieces of advice. I hope this interview helps and if there is anything you would like to ask him, feel free to jump on over to his site and ask! Thanks Sindre! How did you first hear about The Camino de Santiago and when did you decide to walk it? Really the first time I heard about it was from a friend of mine at University but I did not take much note of it at the time. In my defence it was a sort of mentioned as a digression in a wine fuelled conversation of something that I’ve long since forgotten. It was after I’d decided to walk it and I posted my intent to do so onto Facebook that my friend reminded me of the conversation and also told me to skip the Meseta, which I did not do. How I actually became aware of the Camino de Santiago was when I decided to take up hiking again in a more serious manner and did some research (aka googled) hikes and trails and I happened to read and see YouTube videos of the Appalachian Trial in the US and subsequently also read up on the Pacific Crest Trail and the Central Divide Trail … the big three in the US. They are on my bucket-list for sure, but any of those would be a really serious undertaking. Requiring more resources, both time and money, than I could reasonably expect to have without planning ahead in a serious way. So those trails got put on the bucket-list and I looked at trails closer to home as we have a vast network of hiking trails in Norway (even a Camino, St. Olav’s vei also known as Pilegrimsleden) you can basically criss-cross Norway on foot on hiking trails. But that was home and felt somewhat mundane, it was/is where I live after all and the thing you see every day does not spark the same wanderlust or feeling of adventure, not until you actually go out and see that it is more than you ever imagined. So onward I went looking into things that would take me on an adventure, by this time I’d also bought a figuratively ton of hiking gear for hiking in Norway. A few hikes in I started doing more research and found out about Camino de Santiago, leading us nicely into the next part. I find that planning for an upcoming Camino can be almost as enjoyable as walking it. How did you research and plan The Camino de Santiago? I should mention that it took 3 years from first hearing about the Camino de Santiago until I actually walked it. However, it was only the year leading up to me walking it where I had actually decided that I was going to do it. So the twelve months leading up to it was spent getting ready and doing research on specific things and getting some additional gear since hiking in Norway is slightly different from walking the Camino Frances. I took pleasure in it, but it was more the knowledge that an adventure was waiting for me on the horizon. This was also a challenge, as giving you time to imagine and/or daydream might give you expectations as to what it was going to be… and preconceptions on what things should be might make you slightly blind as to what it could be as you experience it. This was also one of the reasons I decided to walk a different route this year, Camino Primitivo, because I was concerned that walking the Frances the year after I completed it for the first time I would always, without intending to, compare it to my experience the year before. So my advice is, do research on the practical stuff, like what to bring and what not to bring; how stuff works on the Camino, like albergues, backpack queuing etc. There are many good forums and many people willing to help you out with advice, but be mindful it is only advice and if you want to carry that book trilogy (Brierley) with you etc. you do that. After all it is you who will end up carry the weight. So I did do that, researched what people usually packed and then packed some more; made sure I was capable of carrying the weight. I took my approximate weight and did 50km walks 3 times a week for the last 5 months leading up to my departure. Well not quite, the final month, I was out with tendinitis. Now I am not saying you need to do 50km hikes to prepare, that was just how long a trek around the lake in my town happened to be. I would recommend that you take your backpack for a hike of a few hours a few days at least before you head out on your Camino. This will help you discover if there is any problem with your backpack, shoes etc. better that it happens when you have time and opportunity to do something about it. What advice or tips can you give future pilgrims walkers who might be considering walking The Camino de Santiago? A few things, as mentioned, do a few test hikes with your gear. Go out walking with it for a few hours for a couple of days. But primarily pack light, pack light, pack light, pack light… a good backpack will transfer most of the weight in it to the hip belt and thus might seem like there is very little weight to carry. Your knees, ankles toe ball joints will thank you for every kilo you do not carry. So why then, since I both can carry more and do carry more on hikes in Norway, am I giving such advice? Among the reasons: It cuts down on risk regarding health issues such as contracting tendinitis, knee pain, joint pain etc. it might also reduce risk of blisters. And if those reasons are not compelling enough, the climbs up, few on the Frances, many on the Primitivo becomes less strenuous. Other than packing light, have a healthy supply of Compeed, bring iodine and a Swiss army knife… it has the most important tool needed for the Camino …. namely a corkscrew. AND if you are from northern Europe (-ish) and are walking the Camino in the warm season (May-Aug) bring salt tablets. They are just as the name implies, tables that contain salt. Because you will drink more water than normal due to the heat and sweat more and you need to replace the salt in your body and they are a practical way of doing that. Trust me on this. Finally, adjust your backpack for a comfortable fit, if you have more than 5-6kg in your backpack make use of your hip belt on the backpack to transfer some, if not most, of the weight directly to your legs. Your shoulders and back will thank you immensely. Yes, on the Frances (my first Camino) when I started out walking 800km in the set amount of days I had (34) seemed like an awful long way to walk in not much time and I pushed myself to walk longer in order to be sure I’d make it. So there was a sense of urgency that pushed me to do 35-40km days in the beginning (and one 55km day.) This was in part because I also really wanted to go to Finisterre which is an additional 100km, but it was supposed to be an “if I have time” goal. The “if I have time” part eluded me for a bit and became a goal. I did eventually come to my senses after a few days and decided that Finisterre would have to wait for another time. Physically the Frances was not too challenging apart from powering through injuries, I got 4 blisters on the entire 800km which is not bad. But one of them was a really painful one, it sat really deep and filled with blood. Treating it was not a problem but walking on it was anything but easy. So there were definitely days when willpower was required to get through the day and the only pleasure or joy was when you could go to bed for sleep. But there were few of those days, and such days also became part of the Camino and a shared experience by all and you’d laugh at the stories as you shared them with other pilgrims over a beer, cider, wine or sangria. On the Frances, too, there was one other challenge. Letting people go, on the Camino you will meet a lot of great people whom you will enjoy the company of, some for a brief day others for many days. Some will disappear either due to different walking paces, different schedules etc. etc. and not getting hung up on the people you know that you’d probably never see again especially if you shared a good conversation or connection. You learn that that particular conversation or connection was “of the moment” and could not survive past it. Sounds gloomy I know but there are also people you meet that you will stay in touch with and visit and chat with daily long after. The thing is if you get too concerned or fearful of the first one and the feeling of loss it could have you will miss out on the latter ones. This year on the Primitivo however this last bit was less of a thing since I happened to meet a group of 14 Americans walking together and we walked all the way to Santiago together, the group (including me) split into different sub-groups every day since people had different walking paces and started at different times in the mornings. My biggest challenge here I think was my final three days into Santiago since I by then had contracted a serious case of tendinitis in my knee and because of that I had to make the painful (hah, see what I did there) decision that I was not going to reach Finisterre this year either even though I planned it so that I had enough time this year. I’m a big fan of Spanish food and drink. What were your three favourite traditional meals along the route? Paella, all the Paella’s and a small serving of pulpo (a big one is just too much), wine, cider and beer…. Those count right? Tortilla de jamon y queso is also good. The first few times you have it… after the 15th lunch with the option of Tortilla or Bocadillo, it loses its charm somewhat, but anything is better than a dry Bocadillo without butter! Molinaseca and Belorado are favourite towns of mine along the Camino. Do you have a favourite spot? Frances – Tosantos (the parochial albergue), Foncebadon – again the parochial albergue and Villatuerta. If you stop there, stay at Casa Magica … it lives up to the name. If you do stop there, say hi to Thor for me the resident Great Dane (dog). Also, Ponferrada with its great graffiti art. These and many more places are wonderful, however for me what makes a place great when you walk the Camino is as much the people you are with there as the place itself. One can feel a range of emotions on arriving into Santiago de Compostela and seeing the Cathedral standing tall in the Praza de Obradoiro. How did you feel when you completed your Camino? The first time it was a range of I F-ing did it, and then the same but with a slightly sadder implication, my adventure was now close to being over. A sense of disbelief was also present I think… not quite realising that I had just walked 800km to get to this very place. The second time was, well the second time… more of a “hey I made it” … what made it special and more touching was seeing how the Americans I walked with reacted, for them this was something more than a walk / hike, being devout Catholics as they were. 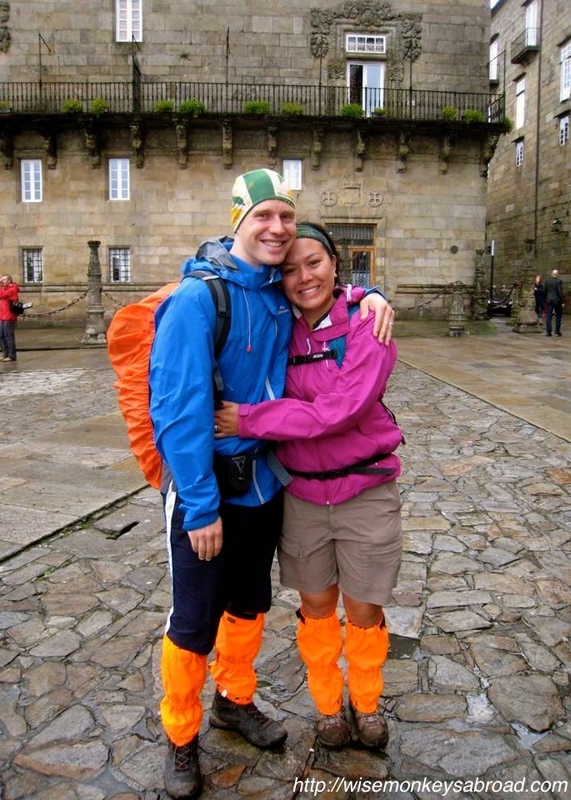 Looking back, do you think you were prepared for your first Camino de Santiago? Have you or would do something different? Did I mention packing light? I swear next time I will…. On the other hand, that is what I said before setting out on the Camino this year as well …. What sets the Camino de Santiago apart from any other walk? You: I’m going to walk the Camino next year. Friend: But can’t you walk the (insert local trail)? You: It’s not the same, I’m afraid. Have you ever had this conversation with a family member, a friend or work colleague? I’m sure you have. I have anyway. It’s hard to explain the difference to someone who has not walked on The Way but maybe this article will go someway in helping. I haven’t written about this subject before so I thought I would talk about my experiences with daily costs over the last number of years. It’s important to start out by saying that everyone’s estimates tend to be different so your estimate may be higher than mine. You may choose to avoid hostels and have a more comfortable Camino, there by increasing your costs. You may also prefer to wild-camp, sleep in donativo albergues, buy food in supermarkets and cook yourself. Personally, I have always preferred albergues and I like menu del dias (daily 3 course meals). My Caminos have generally lasted 12-13 days and I have spent on average €25-€35 per day, which includes food, accommodation and incidental costs during the day. I could never see myself spending more on the Camino. First of all, I am not on holiday. If I travel on a city break or to the country in Ireland, my costs tend to be higher as I stay in b&b’s and guesthouses. So I go to avoid the luxuries that I would receive in a hotel or guesthouse. Sometimes sacrifices can be good. So I will break down daily costs under accommodation, food and incidental costs. Accommodation can be broken down into albergues, hostales, casa rurales or pensions, and hotels. Albergues cost from €5 up to €15. Some albergues are donativo also, which mean that they accept a donation of your choice. It’s important to note that this does not mean they are free! Albergues would provide bunk beds in dormitory-type rooms. I much prefer these as they increase the chance of meeting people! Hostales, casa rurales and pensions offer private rooms with an en suite bathroom or shower. Some would include a meal as standard and costs tend to range from €25-€45. I like to stay in pensions the night before I start out, and after I finish. Great examples of these would be Casa Waslala in Belorado and Posada Regia in Leon. And finally, there are hotels which tend to cost the most. Rooms cost in excess of €60 per night. Whilst these offer great comfort, it might be worthwhile rechecking the reasons you are walking the Camino if you are staying in one of these each night! I tended to eat meals in the nearest restaurant and chose the “menu del dia” aimed at pilgrims. This was usually the same “high on carbohydrate / low on calorie” meal, and after a while, it did get boring. It usually consists of three courses with ice cream or some fruit to finish up and cost €10. But you are well fed by the end. You have the option also of veering away from the “menu del dia” and choosing on of the restaurant’s own menus. You are then sampling traditional food at a slightly higher cost. Alternatively, you can purchase your own food and make dinner at the albergue where you are staying. The downside to cooking alone that is you have to compete with the hordes of other pilgrims who have decided to do the same thing. It can be cost-effective, but it is tiring. Another cost-effective idea is getting together with friends and sharing the costs. If there are 8 of you, you could have a hearty meal plus wine for €5 each. Now you can’t go wrong with that…as long as you aren’t washing up!! From the moment you start walking until the finish for the day, there will be costs that you incur. These include numerous cafe con leches, multiple cervezas, tortillas, fruit for snacks and some chocolate. 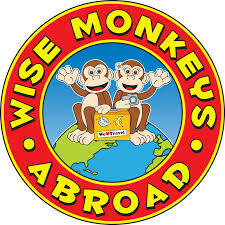 These would also include trips to museums or cathedrals (some do charge for entry!!). I usually purchased chocolate, fruit and something to make a sandwich with, the evening before, and that kept me going the next day until I had finished walking. The cost? A little under €10. Budgeting is pretty important, however, so it is important to over-budget than under-budget. 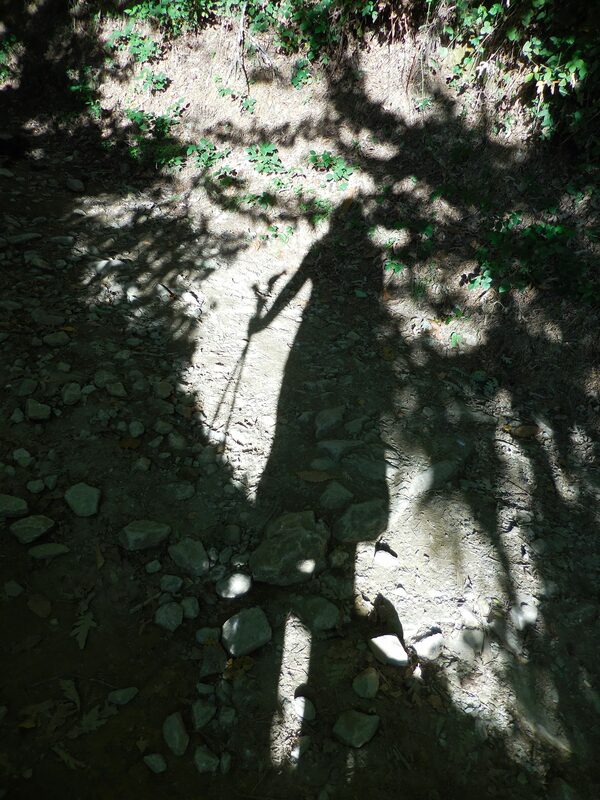 1) How did you first hear about The Camino de Santiago and when did you decide to walk it? We heard about it back in 2008 through a work colleague of Le’s at the time. We didn’t think much more about it until in 2013, we were speaking to a family who did the last 100 km and loved it. We decided that it would be something we needed to do before we turned 40 (in 8 or so years time). Somehow within a matter of weeks, it went from doing 100 km to doing the 800km from St Jean Pied de Port. No one ever mentioned to us the spiritual component nor mentioned how much it would change our lives. 2) I find that planning for an upcoming Camino can be almost as enjoyable as walking it. How did you research and plan The Camino de Santiago? 3) What advice or tips can you give future pilgrims walkers who might be considering walking The Camino de Santiago? – Use Vaseline on your feet. – Learn to tie your laces so your shoes don’t slip or rub. – Do the Camino YOUR way…there is no right or wrong way! – Don’t pass judgment about how others do the Camino because that in itself is not what the Camino is about. – Enjoy yourselves. It’s not a race! – Don’t just go from one place to the next… actually enjoy the journey along the way. 4) Did you face any challenges? Every day was a challenge. You learn very quickly on the Camino that you will be challenged physically, mentally, emotionally and spiritually. But the beauty of all the challenges we faced is that we learnt many valuable lessons that we have been able to apply into life outside of the Camino. 5) I’m a big fan of Spanish food and drink. What were your three favorite traditional meals along the route? 6) Molinaseca and Belorado are favourite towns of mine along the Camino. Do you have a favourite spot? 7) One can feel a range of emotions on arriving into Santiago de Compostela and seeing the Cathedral standing tall in the Praza de Obradoiro. How did you feel when you completed your Camino? We hugged each other and cried. It wasn’t the sheer sight of the cathedral but it was the experience. We had been through a relatively tumultuous few years prior to the Camino for varying reasons and also the spiritual journey that is the Camino overwhelmed us so much. And we felt like we had become different people because of the 800km. We were also devastated that this beautiful experience was at an end. We would do it all over again in a heartbeat. 8) Looking back, do you think you were prepared for your Camino de Santiago? Would you do something different? No, we didn’t even know what Buen Camino was and we also didn’t even know how to use the Brierley Guidebook. So you could say, we were not prepared at all but we would NOT have done it differently. We loved the way we did it, without any preconceptions. Thanks very much for the contribution, Le & David. You can “like” their page on facebook here. Another “Camino Through My Eyes” will be posted early next week. If you are one of the many people who are planning a forthcoming Camino de Santiago, the next series of posts may be of valuable use to you. I have asked the owners of blogs I follow to contribute and give their opinions of the Camino. Most of the people own blogs dedicated solely to the Camino, like myself, but other writers like to travel far and wide all over the globe. I hope to continue posting on a weekly basis on this topic after this. So why not subscribe to the blog and keep an eye out for future posts. Even having walked the Camino a number of times myself, it is great hearing from other people who have walked it, just to get their experience, whether it be a bad or good. I grew up in a pilgrim city myself, so the idea of pilgrimage has always been there. When a friend told me her father was walking to Santiago from Paris, I found myself inexplicably attracted to the idea – and I never did any outdoorsy stuff at the time. I walked the Ingles as a tester in 2009 and decided that I liked it. It took three more years before I had the time, money and company to start my Long Walk, six weeks on the Camino Francés. I registered in the Camino forum (www.caminodesantiago.me/community) in 2007 and have been picking up tips, doing research and kit testing ever since. I too enjoy the planning – though the Camino never goes to plan – and preparation and am always thinking of ways to make my kit lighter, more flexible, more practical. I can also talk about it until the cows come home, and luckily I have internet pilgrim friends to discuss these things with! Less is more – less stuff, less worry, less expectation. Plan realistically and pack sensibly, but remain open to what happens. Make sure you have something to keep you warm, something to keep you dry and comfortable shoes and backpack, and take them all for a few long walks beforehand to make sure they really are comfortable over time. Take half the stuff and twice the money and you’ll have a great time – if you need anything, there are shops in Spain. You really don’t need much, and why carry things you don’t need? Physically, not really, even though I could have been fitter and probably have avoided injuries just by pure luck. I always stop or slow down if I feel that something is wrong or I get tired, but I have seen people get tendonitis and injuries from pushing themselves too hard. I think my biggest challenge was learning to ask for help and getting used to being around so many people and accepting our differences. My Zen is sometimes challenged, but it keeps getting stronger! 5) I’m a big fan of Spanish food and drink. What were your three favourite traditional meals along the route? That’s easy! Pimientos de Padron, Santiago cake and Albariño! Oh wait, and then caldo gallego, and anchovies and cheese, and zorza, and Cebreiro cheese … did I mention black lentil soup? And chorizo? And an ice cold Clara on a sunny day? Did you say only three…?? I prefer the smaller places to the big cities and hilly Galicia to the meseta. Molinaseca is one of my favourites too, as well as Rabanal del Camino, O Cebreiro, Villafranca del Bierzo and of course Santiago de Compostela herself. 7) One can feel a range of emotions on arriving into Santiago de Compostela and seeing the Cathedral standing tall in the Plaza de Obradoiro. How did you feel when you completed your Camino? After six weeks on the road … deflated, actually. My Camino family had decided to slow down near the end of the journey while I wanted to speed up, so I arrived on my own …and it was kind of an anti-climax. I sat down on the square for a while and then felt a lot more jubilant as I saw others I knew coming in and could celebrate with them. I still feel that the journey ends at the Praza do Obradoiro, which is always full of pilgrims, and not in the cathedral. I love that square. Watching it is like watching the sea from the shore. 8) Looking back, do you think you were prepared for your first Camino de Santiago? Have you done or would you do something different? Yes and no – I was equipped and prepared but could have done better and have done better in the years since. These days I walk in shoes, not boots; my pack is smaller and lighter, I wear merino instead of technical materials, I do more layering with fewer multipurpose clothes. This year I even walked with Pacerpoles and found them very helpful. Bottom line: I know what to expect, so I worry less and enjoy myself so much more! Ten steps to get you on the Camino.. There are so many top ten tips and how-to’s out there that it is hard to link them here. I think this article written in April 2015 by Peter Murtagh is one of the better one’s.